Ramadan | Aren't you hot in that? Ramadan is the 9th month in the Islamic calendar during which time Muslims the world over practise fasting (‘Sawm’ in Arabic), that is they don’t eat or drink during the day for the whole 29 or 30 days. During this time Muslims strive to devote themselves to worship, restraint and reflection, in order to increase in piety- called ‘taqwa’ in Islam. The birth of each new crescent moon heralds the start of each month in the Islamic calendar, which is made up of 12 months in total. This lunar year is approximately 10 days shorter than the solar year most of us are used to. Consequently Ramadan moves through the seasons over the course of ones lifetime, and has no fixed date to the Gregorian calendar. Fasting (Sawm) is the 4th Pillar of Islam and is an obligatory act of worship for Muslims who have attained the age of puberty. Muslims believe The Quran (‘The Recital’) is the literal word of God (‘Allah’ in Arabic) transmitted to Prophet Muhammad (peace be upon him) by the Angel Gabriel over 1400 years ago. In fact the very first Quranic revelation was received during this holy month. How do you ‘fast’ for a month? The fast of Ramadan starts before the dawn (Fajr) and continues all day until the setting of the sun (Maghrib). During this time, ‘the daylight hours’, Muslims abstain from all food and drink (including water) & intimate relations between spouses. Instead, an effort should be made to increase in prayer, reading the Quran, doing good deeds and giving charity. It is a time of inner reflection and renewal, control & patience, gratitude and forgiveness, an opportunity to connect, re-connect or simply deepen ones connection with The Creator. The sick, the traveller, children, and women during the time of menses and the post-partum period (ie after childbirth) are exempt from fasting. Pregnant & breastfeeding women may also be excused if there is fear of harm to themselves or their baby. There are a great many virtues of Ramadan revealed in the Islamic scripture & hadith (narrations of Prophet Muhammad). 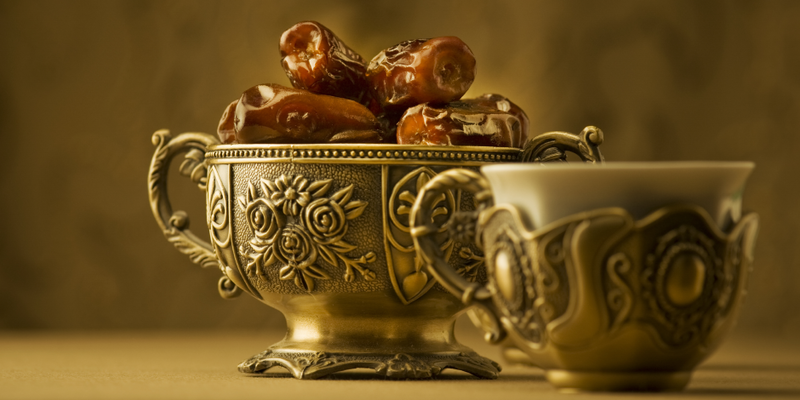 On the days of Ramadan, Muslims will usually get up a short while before dawn to eat a pre-dawn meal, called ‘suhoor’. This may be their usual breakfast, though one would likely drink some extra water if Ramadan occurs during summertime. There is obvious blessing in this meal and it is not advised to miss it. Most Muslims will go about their usual day during Ramadan. The day can in fact be more productive without the need for lunch & constant coffee breaks. However they may devote more time to prayer or supplication. When the sun has set Muslims hasten to break their fast with a meal called “Iftar”. This traditionally consists of dates and water but can be other foods. They will then pray Salat’al Maghrib (The Sunset Prayer) before contining with other activities including dinner, often with friends and family. During the evenings of Ramadan, most Masjids (Mosques) will hold special prayers called “Taraweh”. Muslims can also perform these prayers at home. In the course of the Taraweh prayer each night one-thirtieth of the Quran is recited, hence during the month of Ramadan the entire Quran has been read. Ramadan is a time for communities come together to pray and break fast. It is a common practice to invite friends, family and neighbours over for “Iftar” & dinner, including non Muslims. Friends are made, rifts are healed, hearts are softened. Laylatul Qadr – The night of power, or decree, is believed to fall on one of the odd nights during the last ten nights of Ramadan. It was on this night 1400 years ago that the holy Quran was first revealed. On the night of power, the Angels descend with the decree of God and there is peace until the dawn. Worship on this night is said to be the equivalent of 1000 months – a whole lifetime. Many Muslims will ‘step up’ their worship towards the end of Ramadan, hoping for the reward of Laylatul Qadr. At the completion of the month of Ramadan, on the 1st of Shawwal (the next month of the Islamic calendar) the Muslim community gather in large numbers for morning prayers, often held outdoors in a park, and begin 3 days of celebration. Before the Eid prayer, Zakah Al-Fitr – an obligatory charity (consisting of food but nowadays often given in money) should be distributed to the poor so to ensure they are also included in the spirit of Eid. The greeting that can be heard at this time is “Eid Mubarak” (lit. ‘holiday congratulations’). Gifts will be exchange, celebratory food will be shared in joy after a month of physical and spiritual cleansing. The 3rd Pillar of Islam is Zakah – compulsory charity. The word Zakah in Arabic literally means ‘purification’ and “growth”. Much like trimming a hedge, ‘trimming’ your wealth is a way to purify & grow your wealth and the community. Muslims who meet a certain minimum financial criteria are required to give a 2.5% of their unused wealth to those in need (regardless of religion). 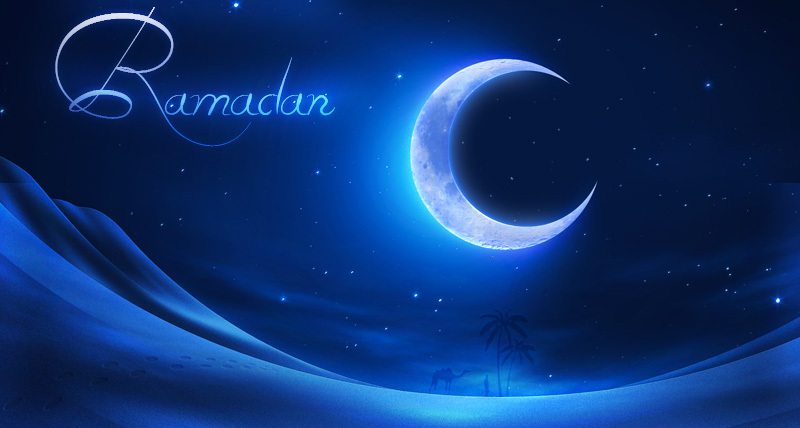 Many Muslims choose the month of Ramadan to fulfil this religious obligation. A person may choose to give more than 2.5%, especially during Ramadan when it is believed the rewards for good deeds are greatly increased. This is voluntary charity – “Sadaqa”, can consist of food, clothing, money etc. In Islam, even greeting one another with a smile is considered charity. Is fasting harmful? What if you can’t fast? Fasting is not harmful for healthy people. If fasting was harmful to someone (eg. a diabetic) then they should instead feed a poor person for everyday of Ramadan if they are financially able. Fasting has been practised for centuries across many cultures and religions. Done correctly, fasting is in fact one of the healthiest things you can do for your body, giving it a break from constantly digesting food, giving it the opportunity to rest and repair. For people new to fasting they may find the first few days challenging whilst the they adapts, and heavy caffeine drinkers would be strongly advised to wean themselves off in the weeks leading up to Ramadan, to avoid caffeine headaches. Some Muslims experience mild ‘fasting headaches’ on occasion, and some days will be harder than others. Generally the most you will feel is a temporary hunger or thirst – a state which is not life threatening – but allows you to realise how many of the worlds poor feel everyday. In our society we are surrounded by food and are used to instant gratification. During Ramadan we are forced to practice “Sabr” (patience, persistence) and can experience a profound gratitude for a simple glass of water. Do children have to fast? No, it is not obligatory for children to fast. However, some may fast part of a day or a whole day here and there in preparation for when they are older. There are in fact many children who fast the entire month. It is often something they choose to do, especially when the whole community around them is fasting. Is it OK to eat around around my Muslims friends & colleagues during Ramadan? Muslims do not have objections to people eating around them during Ramadan. As mentioned, there are people exempt from fasting, and they still prepare food for and feed their children and other non-fasters. Muslims can break their fast at sundown, so its not as though they can never eat again, they are just have to wait a few hours.